Of all the anti-Hicks & Gillett material, I think this banner says it best. It’s poetic, it’s right. 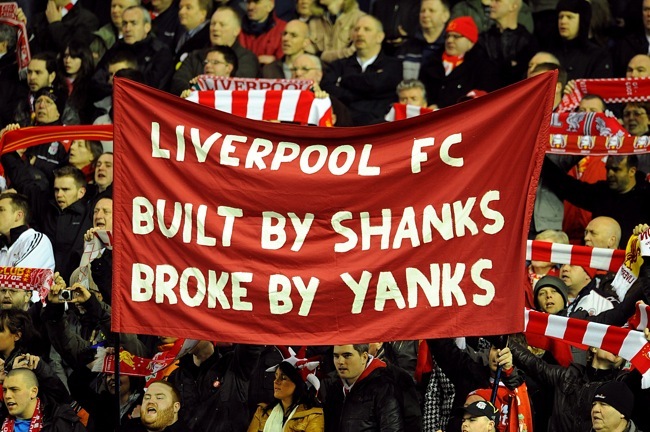 The photo was taken at Anfield in March 2010, before Liverpool’s league game against Portsmouth.